Square One condos and the downtown Mississauga area are an excellent choice when deciding where you wish to reside. Recently, there has been a surge of development on the west end of the city. This area is known as Erin Mills and the Erin Mills real estate market has changed drastically. The Erin Mills area was planned and developed by Cadillac Fairview on approximately 8000 acres of what used to be farmland. It is now a mixed area where the Erin Mills real estate is composed of detached homes, stacked townhomes, condominium buildings and other variations. Here we’ll explore just what this area has to offer and some of the exciting new Erin Mills real estate projects. The first segment of Erin Mills we’ll look at is known as Churchill Meadows. This area is relatively new and was conceived as a master planned suburb. It features great schools, a well designed infrastructure system and also a great variety of homes. It is an extremely popular area for families and many of my clients who are selling their Square One condo end up moving here when up-sizing on space. What makes the Erin Mills real estate within Churchill Meadows so great is the location. It is close to the Erin Mills Town Centre which is currently undergoing a revolutionary renovation. Highways are minutes away and so are parks and schools. Whether your budget is $200,000 or over $1 million, Churchill Meadows has something for you! Very popular and a neighbourhood I definitely recommend. Churchill Meadows definitely provides for excellent Erin Mills real estate, however there are new opportunities on the horizon. This area is slowly becoming the “second downtown” of Mississauga and with that we’re getting higher density developments being planned and implemented. Surrounding Churchill Meadows are many detached homes and neighbourhood pockets but these tend to be older in nature, the area has had a suburban atmosphere since it was originally built. Now the various developers are trying to change the focus and take cues from Square One to help build a modern hub. To achieve this urban vision there are several mid and high-rise condos slated for implementation. One of these is the new West Tower condo by Daniels. These are the reputable folks who have transformed Square One by adding stunning architectural structures like the One Park Tower, Capital Towers Condos and Limelight Condos. Not much information has been released as of now but prices are expected to start at the low $200,000’s. What’s great about Erin Mills real estate is the accessibility when it comes to price. Since this isn’t downtown Toronto the prices are actually still affordable, not only that, but you get value for the money and aren’t stuck spending $400,000 on a walk in closet sized condo. More info and pictures of this project will be released through SquareOneLIFE as they become available. 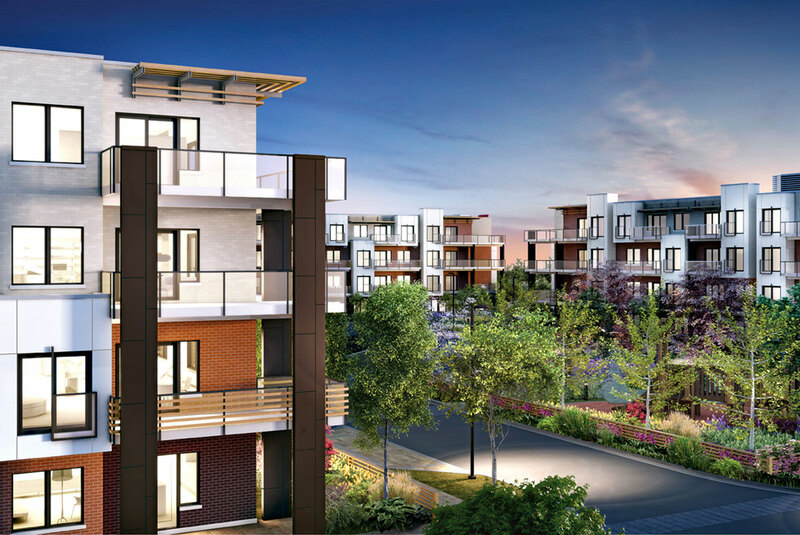 One of the most exciting pieces of Erin Mills real estate is the new project by Vandyk. It isn’t located in the “heart” of Erin Mills but rather slightly south close to Sheridan. It’s right across from Erindale Secondary School and has been named “Windows On The Green”. This modern condo project will bring a nice revival to the area which has been sitting quite stagnant for years. Just two minutes away is South Common Mall and many parks. The neighbourhood is dominated by detached homes and this new condo project will bring a fresh crowd and energy to the local area. The reputable builder has put a lot of effort into creating a design and atmosphere that evokes tranquillity and blends with the natural green space the community is known for. Construction is well under-way and the renderings which have been released show a truly modern project unique to the area. The penthouse lofts also provide for an amazing space which reflects great design cues, a video tour has been provided to help give you an idea of what you can expect here, make sure to get in touch for full information. If you like the Windows On The Green project, a similar one located in the Clarkson real estate market known as the Craftsman Condominiums is also currently released. Probably the most exciting piece of new Erin Mills real estate is the Downtown Erin Mills project. This multi phase development is aiming to bring modern, almost Square One style condo buildings to Erin Mills. It is being put together by Pemberton Group who has an impressive resume concerning condo development. The beauty of the design is the location and use of land. It is right in the heart of what will be considered Downtown Erin Mills (hence the project name) and also fills up what is currently quite an unattractive empty field. The location is top notch with regards to schools, shopping, and relaxation. The Credit Valley Hospital is also around the corner. This piece of Erin Mills real estate will offer a unique lifestyle that caters to a younger generation. Churchill Meadows already provides for great family detached home living, the current condos tend to cater to seniors and an older generation. What’s really missing here is that spark for youthful, young professionals and emerging families. The Downtown Erin Mills condo project aims to fill that void. Combined with the social design of the new Erin Mills Town Centre which will feature a rooftop patio and layout that’s focused on interpersonal interaction, Erin Mills will really start to evoke an attractive new modern beat. The Downtown Erin Mills project is creating a lot of attention so if you want more information or are interested in a potential purchase, make sure to contact representation. The later phases of the complete development have not been released and will be after the successful sales of the current two condo towers. The final new project to discuss in regards to Erin Mills real estate are the HOT Condominiums being developed by Great Gulf, the people behind the spectacular, futuristic new One Bloor Tower. The stark contrast between the One Bloor Condos and HOT Condominiums is uncanny but goes to show the skills this developer holds when tackling multiple projects which are completely opposite in nature and design. The HOT Condos are a low rise collection similar in layout to the previously discussed Vandyk development. The principle with these is to create something completely unique for Erin Mills real estate. As mentioned earlier, these new condos are trying to appeal to the modern generation and therefore offer more contemporary décor. 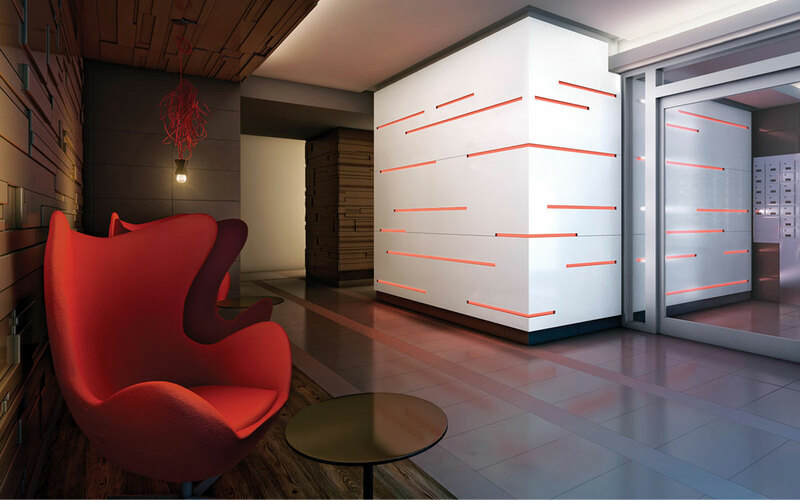 The HOT Condominiums take this a step further with using bold colours and original accentuations that really create a distinguished community. Located just west of Erin Mills Town Centre, these will bring a great wave of new residents to the downtown Erin Mills market. Since these projects including the HOT Condominiums are all pre-construction details are limited. All of them provide a great selection of units, floorplans and prices which can be requested by contacting us. Remember, when buying anything from a builder its always good to use a representative as it will protect your best interests without costing you any extra fees! Erin Mills real estate is transforming. Although this article hasn’t focused on the Square One market area, many clients and interested people have inquired about Erin Mills. Therefore it seems logical to provide some insight for those who are interested. This has been a brief overview about Erin Mills real estate, for more in depth details and a professional discussion, feel free to contact me. Very good to see this part of Mississauga booming!